www.ultimatehandyman.co.uk • View topic - Cutting sharp turns into acrylic with a Jigsaw? Cutting sharp turns into acrylic with a Jigsaw? Post subject: Cutting sharp turns into acrylic with a Jigsaw? Hello, so I am attempting to build an "ant nest" out of acrylic. I have sketched out a design and have got a lot of the tools and materials I think will do the job, that being said I have to order the acrylic online because they did not have exactly what I need at Home Depot. So today rather than just wait I cut out my design into a wood board to see how it will go. The end results were ok, that being said I did have a small amount of trouble going around one of the tighter turns, though this can be fixed in a revised version of the design. Anyway my question is, will the same result be possible with acrylic? 5 x 4 x 3/8 inches (12.7 x 10.16 x 0.9525 cm) are the planned dimensions I would be cutting the design into, this would consist of 3 layers of 1/8 inch (0.3175 cm) acrylic that would be clamped to a sawhorse. Now as I said the 5 x 4 inch (12.7 x 10.16 cm) wooden board I tested the design on worked for the most part, though I did have some structural problems near the end of cutting due to the thin part connecting to the center part, though as I said I plan to revise the design a bit to fix some of these problems. 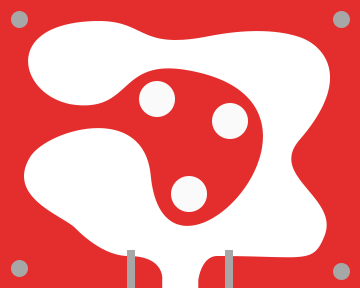 Anyway would I be able to achieve the same cut on a 5 x 4 inch (12.7 x 10.16 cm) sheet of acrylic with a metal cutting blade on a jigsaw, or would I need something like a scroll saw? Post subject: Re: Cutting sharp turns into acrylic with a Jigsaw? The question was not country specific by a long way. And I can think in terms of 5x4 (inches) from the time I used to do photography, that is a damn small board. I don't think you can cut the shape with a jig saw unless you can find a blade with the correct teeth (what would that be) and narrow profile so it can turn easily. A scroll saw would be better and if it is a powered one you will have a flat surface to lay all the acrylic on it orr make a base if you use a hand scroll saw. The nearest I have come to what you are trying to do was cut the plastic front of a computer case and fit 5x5inch fans on it. I could still cover up my mess anyway, but it was interesting that as I was cutting away, the hot plastic was rejoining behind my cut. You would be looking to finish the cut smooth with sandpaper or some other method. :-) The question was not country specific by a long way. And I can think in terms of 5x4 (inches) from the time I used to do photography, that is a damn small board. Hm yeah, tbh I don't think this project is worth investing into a powered scroll saw for. Maybe I could take the slow route and use a hand scroll saw, but idk if I would be happy with the cut that would likely produce. I am thinking I may double the size to 10 x 8 in. which in theory would mean the curves would be easier to cut with the jigsaw. 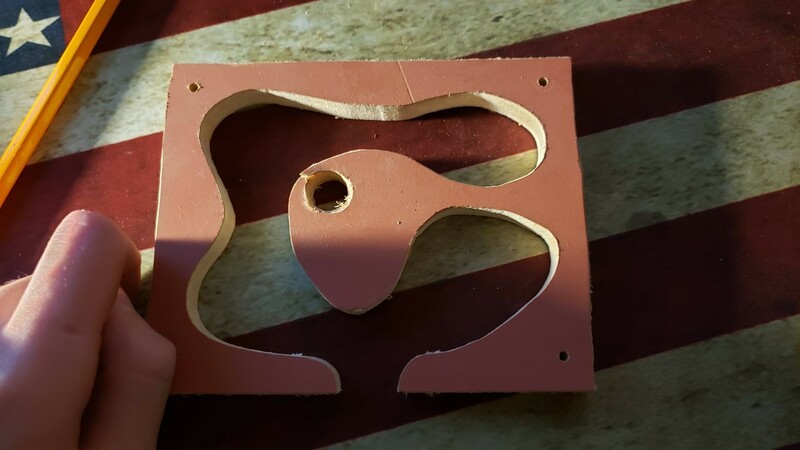 If I understand correctly, the idea is to have 2 wood cutouts of the design like the picture I posted above, attached to both sides of the acrylic as a guide, and then drill large holes where the sharper curves are to help the jigsaw handle those curves? That may actually work, hm. BA's idea sounds a good plan. Use a very slow speed as well I'd say. One snag I can see is that when it's in use, any moisture in there will capillary between the sheets of acrylic.